Lately I have been playing around with my scraps while deciding what my next big project is going to be and what direction I want to go with my sewing. I think it’s fun with scrap projects. The keyring/zipper pouch in the picture is made with cut off corners from pencilcases I made earlier in the year. 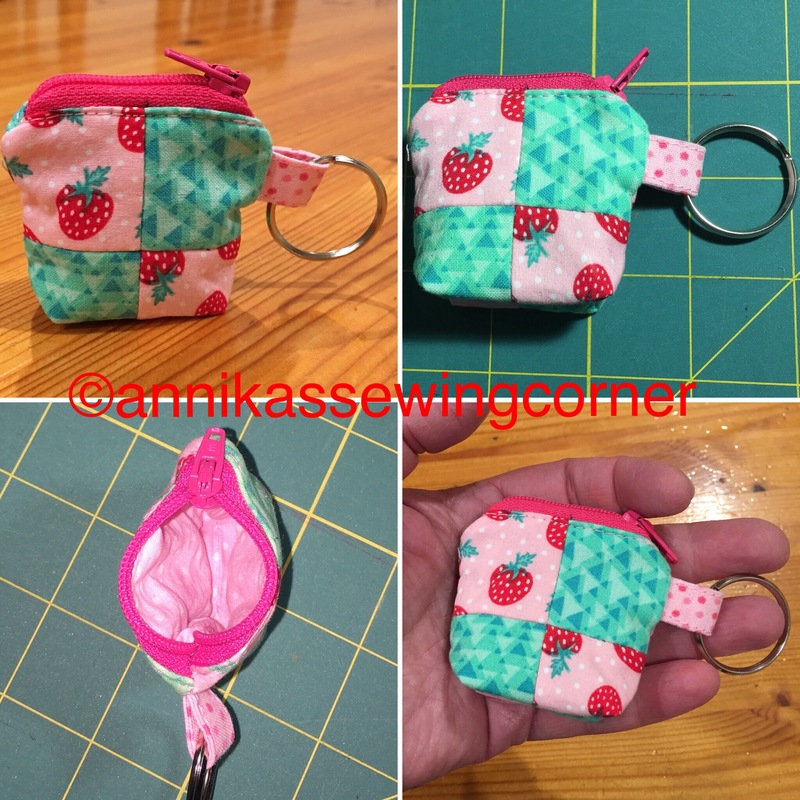 It is a simple zipper pouch that’s 2″x2″ with boxed bottom corners and a tab with a 1″ split ring. 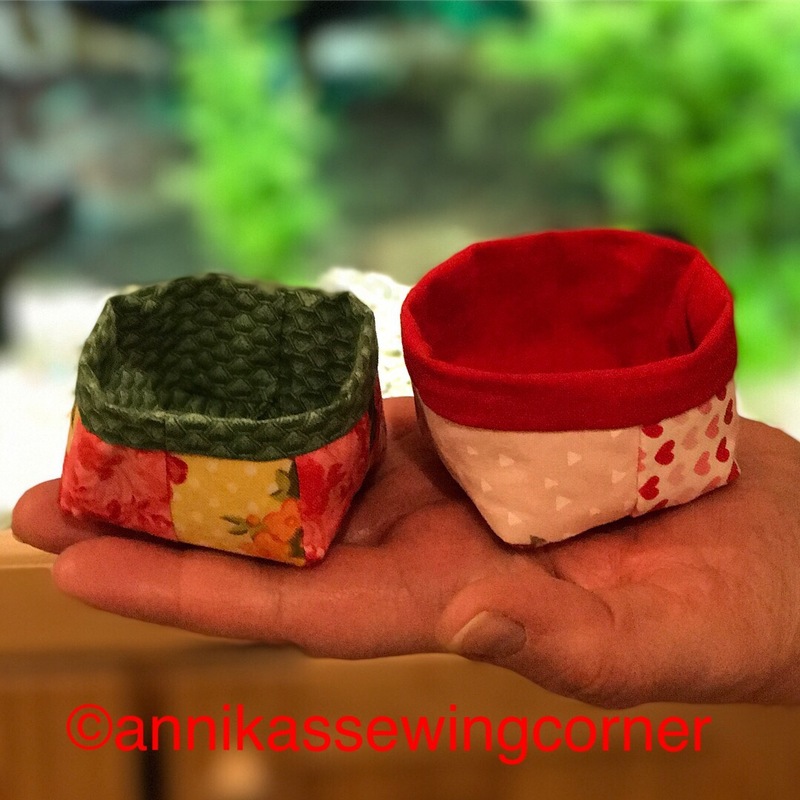 The two mini baskets in the picture above is made from corners cut off from boxed zipper pouches I made last year. They are about 2″x2″ in the base and 1″-1 1/4″ in height. I have made the lining 1/2″ higher so it “wraps” around the top edge and looks like a binding.